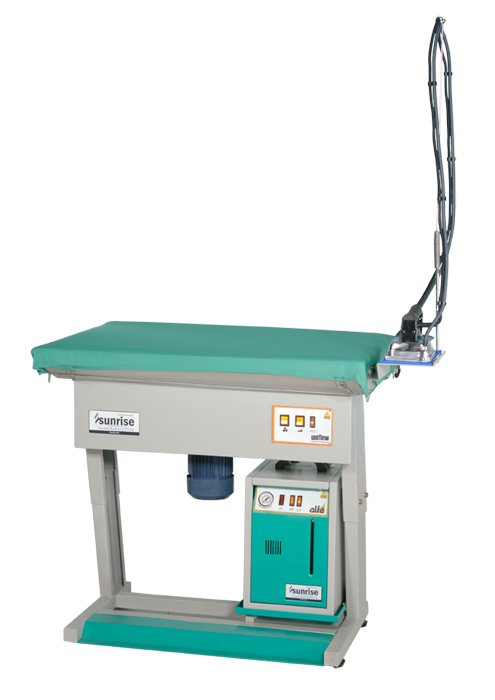 Uniflow online tables are specially designed for sampling at the stitching place where parts like cuff, collar, and pocket are require ironing before stitching. It is also convenient for small dress making factories and tailors. Its Super Powerful vacuum keeps ironing surface dry without the need to heat it. The high depressed motor gives strong vacuum which guarantees a fast, lasting and perfect finish. 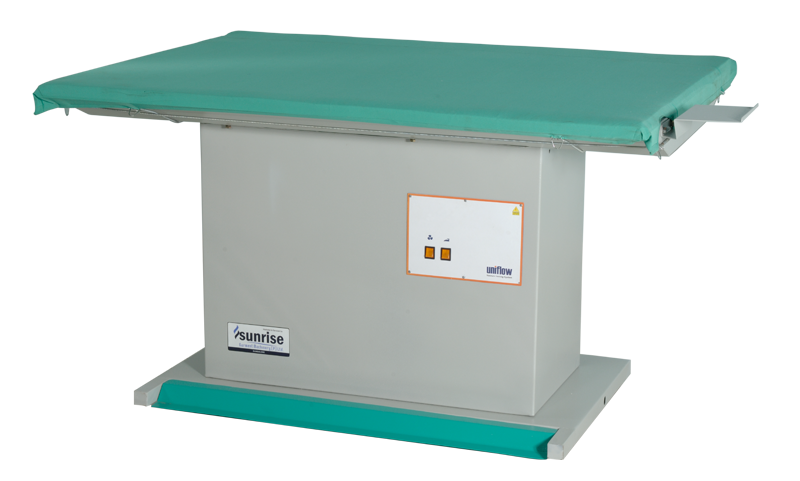 Foot-pedal for autonomous function of suction and height can be adjusted to suit the operator’s convenience.